Center for the Development of NGOs (CRNVO), Center for Democracy and Human Rights (CEDEM) and Center for Economic Prosperity and Freedom (CEPS), in cooperation with the British Council, invite all interested to participate in the ACTIVE CITIZENS program. ACTIVE CITIZENS IS A PROGRAM OF SOCIAL LEADERSHIP THAT PROMOTES INTERCULTURAL DIALOGUE AND SOCIAL RESPONSIBILITY AS KEY COMPETENCIES OF LEADERSHIP IN THE 21ST CENTURY. 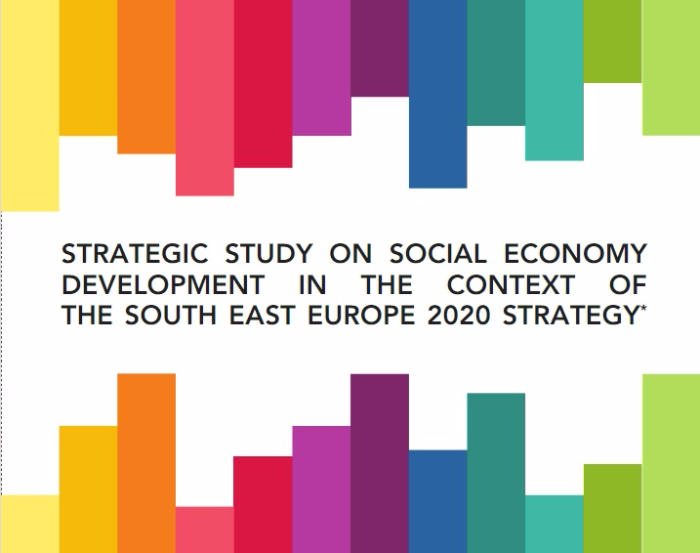 THE PROGRAM AIMS TO DEVELOP BASIC SKILLS AND COMPETENCES OF YOUTH IN THE WESTERN BALKANS, IN ORDER TO IMPROVE THEIR CHANCES FOR EMPLOYABILITY AND CREATION OF A BETTER LIFE, ENGAGING IN THEIR COMMUNITIES TO ENCOURAGE THE RESPONSIBILITY AND CREATION OF POSITIVE SOCIAL CHANGES. 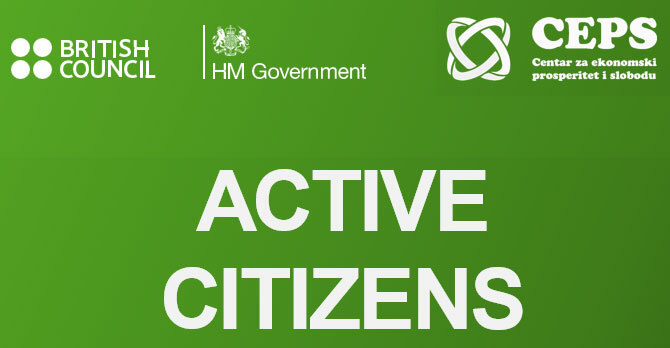 ACTIVE CITIZENS is a global program of the British Council, which is implemented in cooperation with civil society organizations around the world. Since 2009, more than 210,000 people from Great Britain, Europe, the Middle East, Africa, Asia and America participated in it. The vision of the program is a world in which young people recognize their potential and try to engage with others in order to develop their communities at the local and international level. The Active Citizens Program is being implemented in over 50 countries in the world in cooperation with state institutions and local partners. The program promotes social development under the leadership of the community through building confidence within and between communities and key actors. It motivates community members to take responsibility for their social needs by providing them with the necessary knowledge, skills, experience and networking. art and other professional associations. 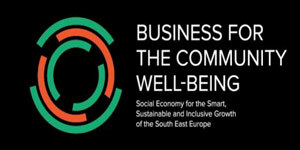 One of the objectives of the program is to provide networking of individuals, organizations and institutions, as well as to support cross-sectoral cooperation with the business community, the media and the scientific community, in order to improve the level of social inclusion, social development and community resilience to the conflict.